When my mom makes Biryani at home, the atmosphere turns festive. There is unbearable excitement in the air. Uncontrolled impatience. 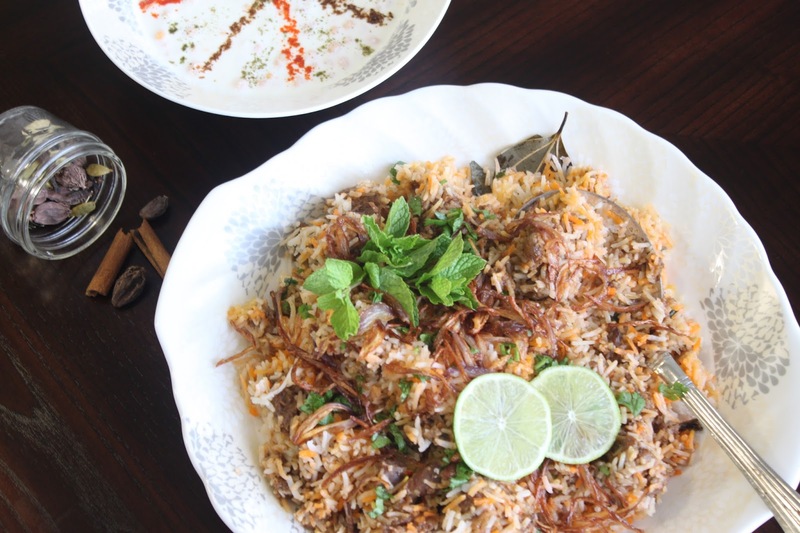 The biryani that she cooks is so aromatic, flavorful, and aesthetic that it completely fills up the eater’s senses. It’s an experience that lingers long after the last grain of rice has been polished away. My Nana (maternal grandfather) was a true connoisseur of food. He was himself an amazing cook and never ate anything cooked less than perfect. So he made sure his daughters were trained by the very best too. Mom received this original Biryani recipe from Khansamas (expert muslim chefs) whom my Nana used to hire to cook special meals. With formal training and decades of practice, mom is truly an expert in making the most delicious biryani with a prefect blend of spices. 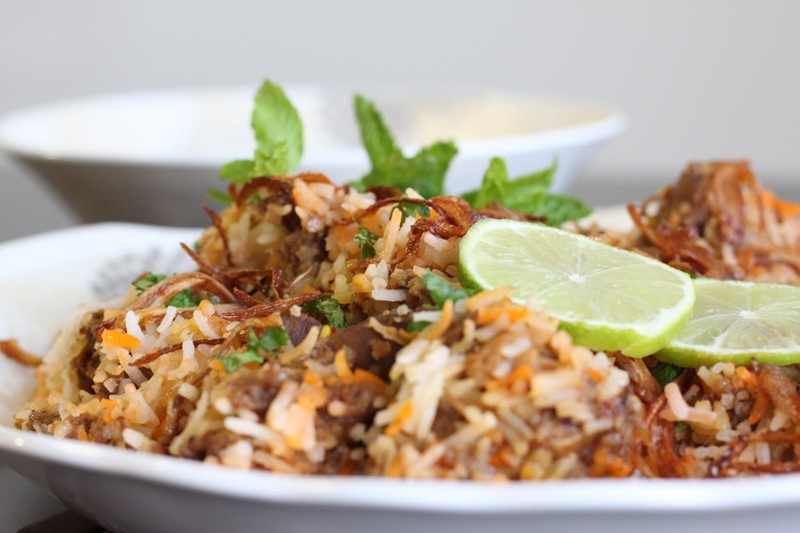 This authentic Biryani is always made with mutton. Never with chicken. This is a moderately difficult recipe that requires you to prepare with attention, focus and all your heart. Bismillah!! Put on some good music,relax and enjoy your labor of love with your loved ones! !